Non-sparking EXNA motors | ATB Tamel S.A. 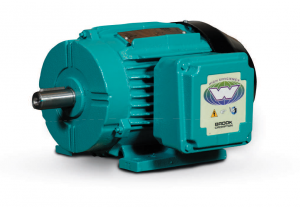 The EXNA non-sparking motors for zone 2, group II, are designed to prevent sparks from appearing as well as to prevent the machine surface from exceeding the permissible temperature during operation. ATB Tamel offers EXNA motors in mechanical sizes 80-355, compliant with ATEX directive in temperature class T3, voltage up to 750V. B3, B5, B14, B30 and other design modifications are possible. EXNA motors are offered in the temperature range of -55 / + 60 degrees Celsius, in IP55, IP56, IP65, IP66 degrees of protection.